Stop & Shop strikers. Stop & Shop strikers. 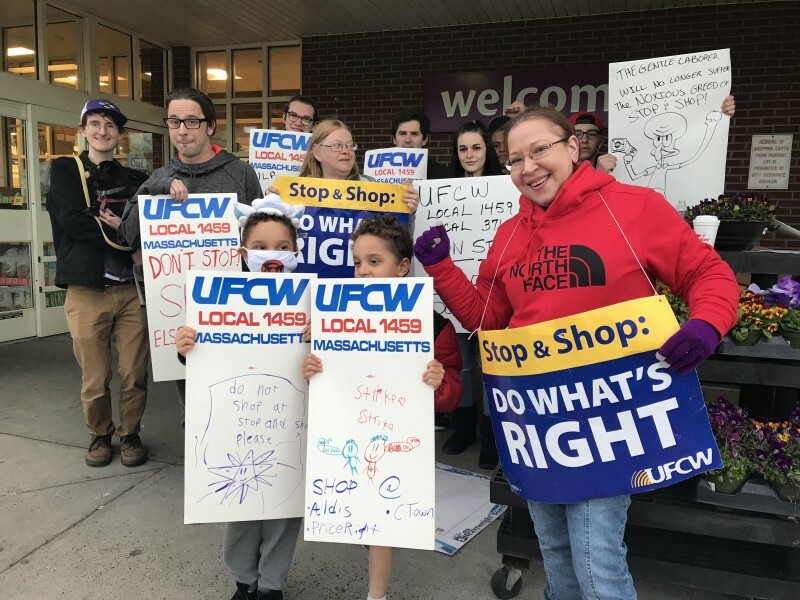 Holoke, MA - On the sixth day of an ongoing strike, a picket line of 40 workers, union families, and supporters faced a sparse parking lot at the Lincoln Street Stop & Shop in Holyoke.